Hot on the heels of the KTM Super Duke 1290 GT being announced, KTM have also sprung a KTM 1290 Super Duke R Special Edition. 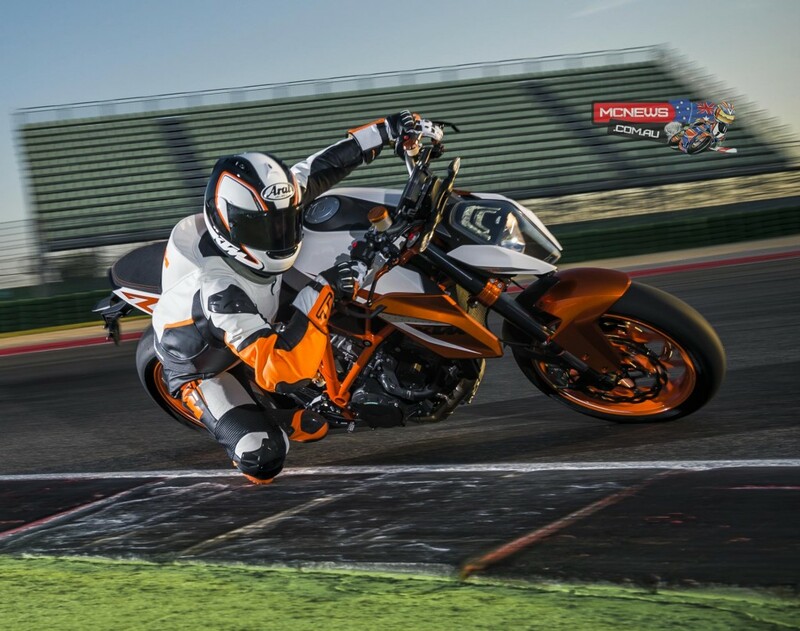 With 173 hp of power from 1,301 cc of displacement, as well as an awesome 144Nm of torque at only 189 kg of weight, the 1290 Super Duke R sports an awesome power-to weight ratio previously reserved to uncompromising supersport bikes. 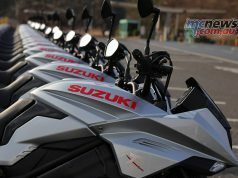 In addition, it re-defined the standards of controllability and safety for streetfighters and unfaired bikes with a whole host of cutting-edge assistance systems. 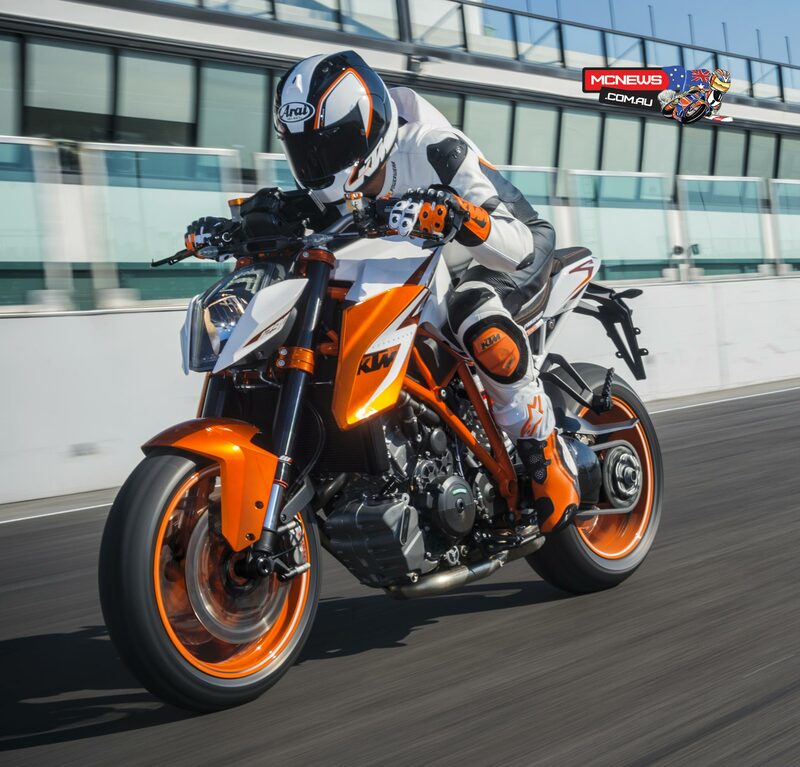 For those who wish for even less weight, even greater functionality, further optimized ergonomics, yet more sound, even more spectacular looks and even greater individuality, in 2016 KTM are releasing a 1290 Super Duke R Special Edition. KTM 1290 Super Duke R Special Edition is upgraded with a whole package of top quality components from the PowerParts collection. Triple clamps machined from aluminium and anodized in orange. They impart even more torsional rigidity to the WP upside-down front forks, thus optimizing the chassis’ precision under extreme braking. An improved pressure distribution also serves to lessen the strain of the forks. In order to increase braking performance under extreme conditions, the 1290 Super Duke R Special Edition is equipped with Wave brake discs. The floating 320mm front discs are made of an inner carrier ring made of black anodized aluminium and an outer brake ring made of stainless steel. This design not only yields durability and top braking performance but also lowers the pressure needed at the brake lever, as well as improving feedback and brake action in extreme duty. The 240 mm stainless steel rear Wave disc is a perfect complement to these high tech front discs. Another contribution to optimum deceleration is delivered by ergonomically perfect controls. 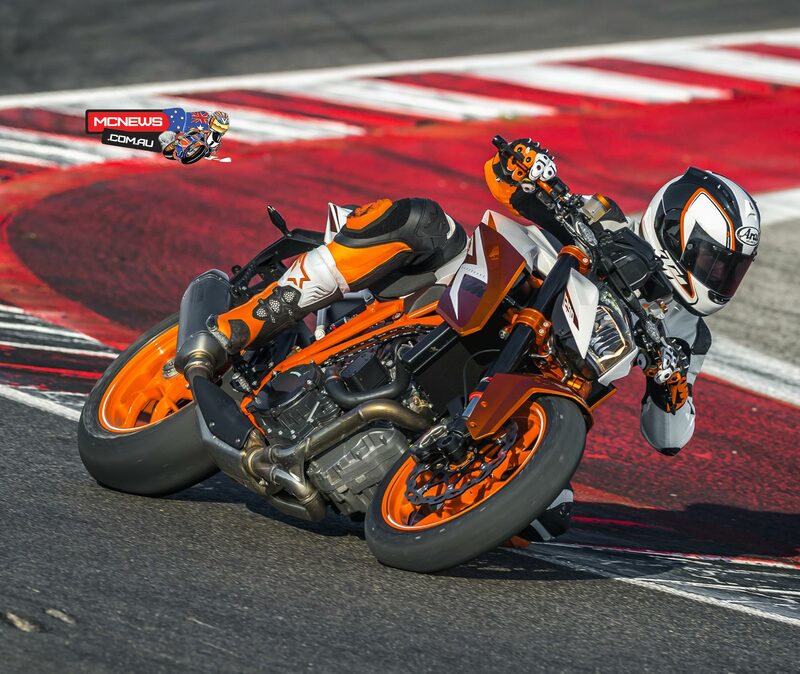 The KTM 1290 Super Duke R Special Edition carries levers adjustable in several parameters. Length and distance to the handlebars of the clutch and hand brake levers can be adjusted to the rider’s hand size and preference. Machined from high strength aluminium, the levers also fold upwards, which means they do not break easily, should a ground contact take place. 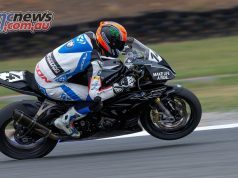 Lever guards as seen in professional racing afford them even more protection from damage while avoiding unintentional deployment by contact with other riders or machines in close fights on the race track. Another part specially optimized for sport use is the two-part seat, even though it offers a lot of comfort thanks to its cushion made of special foam with exactly defined pores. The front part lets the rider sit two millimeters higher and offers improved contact to the bike thanks to its narrower front. 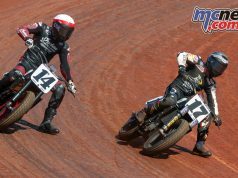 In tough race track use, occasional ground contact of exposed motorcycle parts cannot always be avoided. In order to protect the most exposed portions of the LC8 power pack, the 1290 Super Duke R Special Edition generator and clutch covers carry highly resilient protectors made of up to five millimeters of carbon/kevlar mix. High quality, great looking PowerParts also distinguish the KTM 1290 Super Duke R Special Edition visually from the standard version, further enhanced by its bespoke graphics and the paint finish in ‘Galvano Orange’. 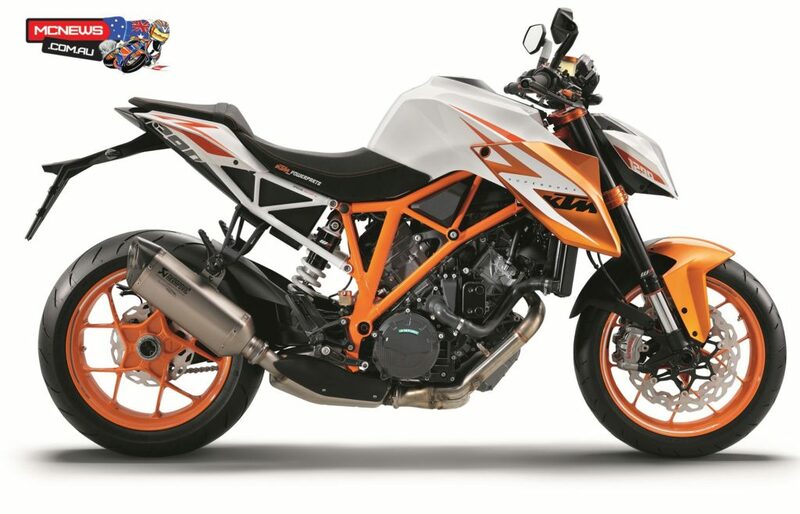 The1290 Super Duke R Special Edition silencer has been jointly developed by KTM and Akrapovič. The slip-on that gives this bike its unmistakable sound is made of titanium, saving 1.5 kg of weight toward the original. The standard mapping of the electronic engine management remains unaltered despite the greater muffler flowrate.